Box-and-whisker plots are great. They show medians, ranges and variabilities effectively. They allow comparing groups of different sizes. They are super simple to create and read, so naturally, they are all over the place. But box plots can be misleading. They are not affected by data’s distribution. When the data “morph” but manage to maintain their stat summaries (medians and ranges), their box plots stay the same. This is when violin graphs, or violin plots, come to the rescue. A violin plotcarry all the information that a box plot would — it literally has a box plot inside the violin — but doesn’t fall into the distribution trap. How? 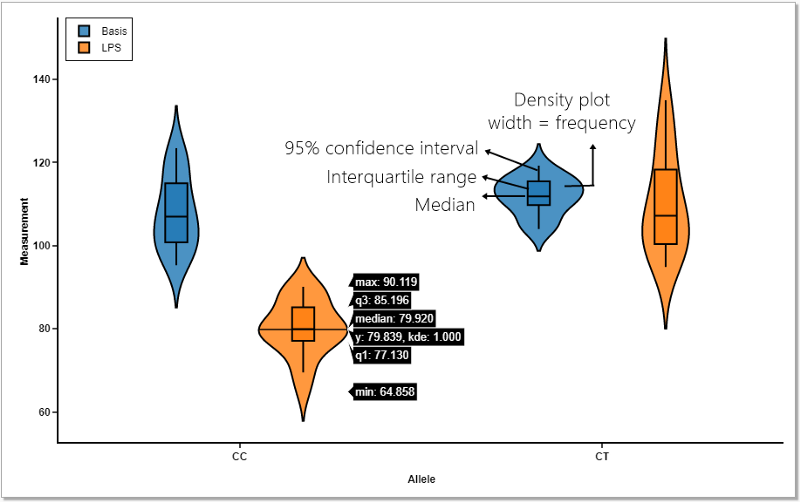 The “violin” shape of a violin plot comes from the data’s density plot. You just turn that density plot sideway and put it on both sides of the box plot, mirroring each other. Reading the violin shape is exactly how you read a density plot: the thicker part means the values in that section of the violin has higher frequency, and the thinner part implies lower frequency. To compare different sets, their violin plots are placed side by side. They don’t sit on top of one another and don’t create the “uhm, what color is for what set again?” puzzle. Violin plots are easy to read. The dot in the middle is the median. The box presents interquartile range. The whiskers show 95% confidence interval. The shape of the violin display frequencies of values. Different violins are different sets. You don’t even have to fill the chart with colors and patterns to distinguish sets, which actually makes it less distracting and easier to read. Even xkcd agrees. 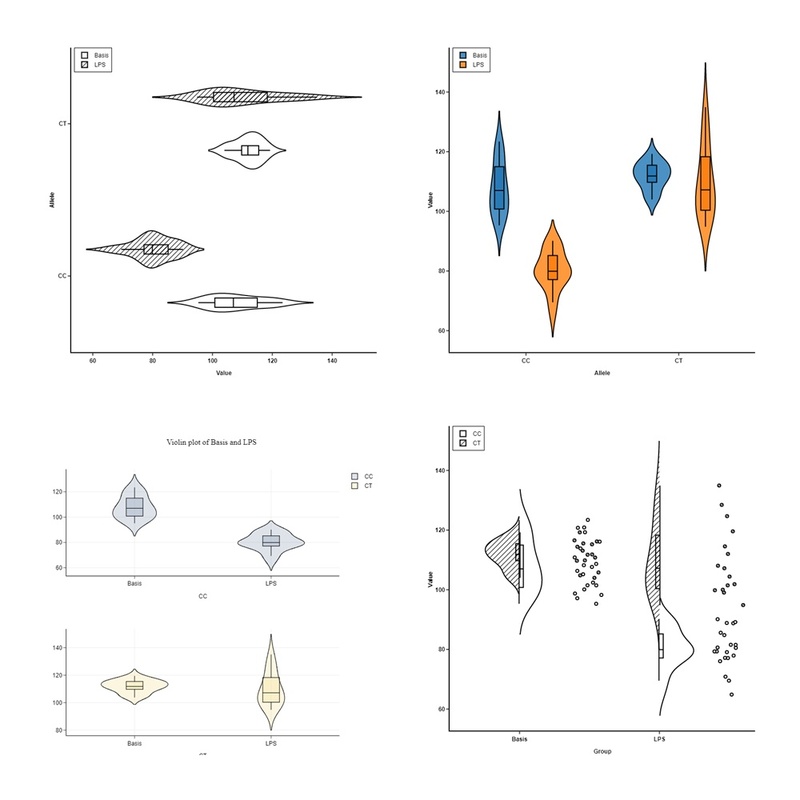 Unlike bar graphs with means and error bars, violin plots contain all data points.This make them an excellent tool to visualize samples of small sizes. 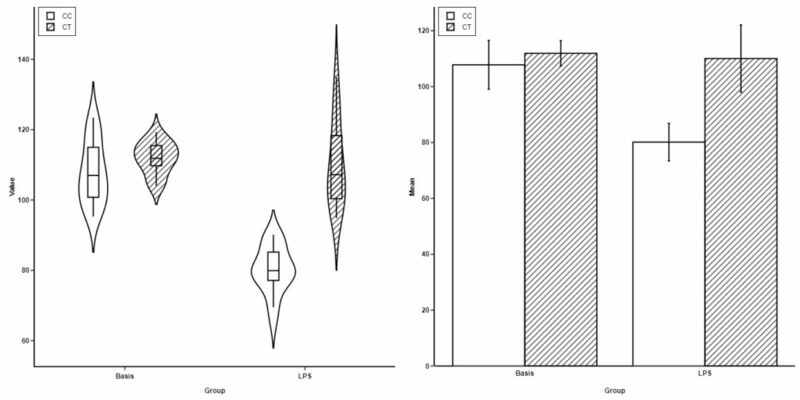 Violin plots are perfectly appropriate even if your data do not conform to normal distribution. They work well to visualize both quantitative and qualitative data. Honestly, who doesn’t want to wow their audiences with these plots? Questions about violin plots or BioVinci? Leave a comment, we’ll get back to you right away.